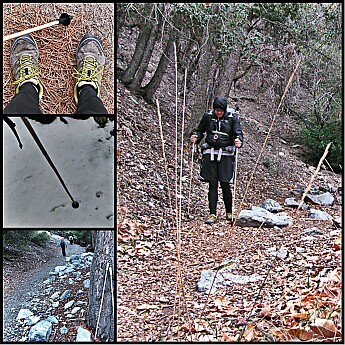 Great lightweight poles that can withstand the rigors of the trail. 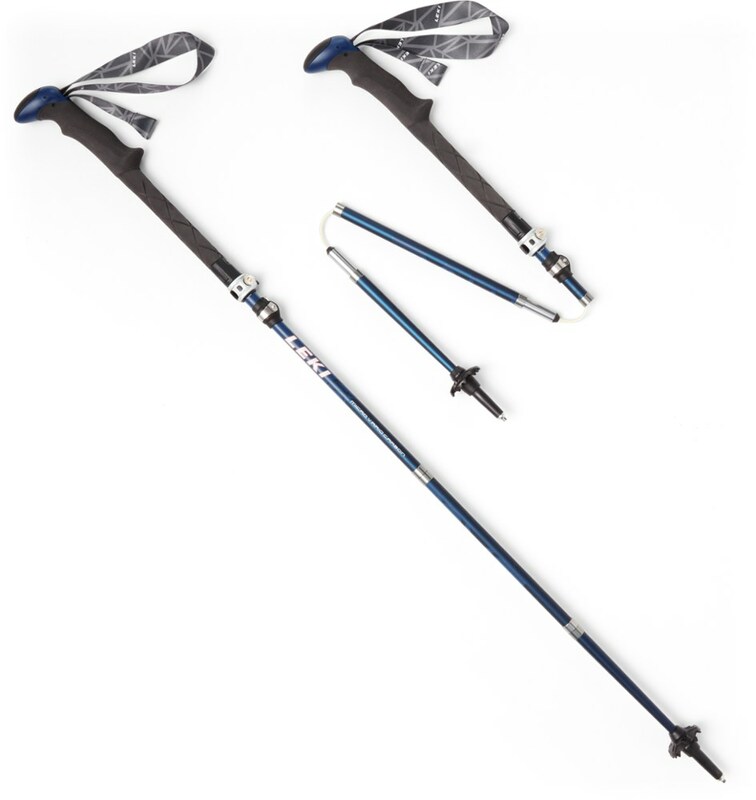 Very comfortable to hold on short or long treks, lightweight, and gives you confidence on the trail knowing these trekking poles will provide the support a hiker needs. 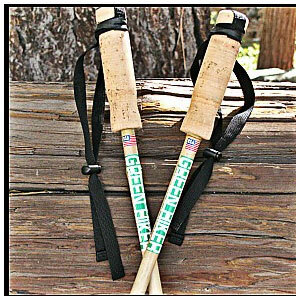 The Green Hiker Cork Grip Poles are made with natural materials and hand crafted based on a user’s preference. 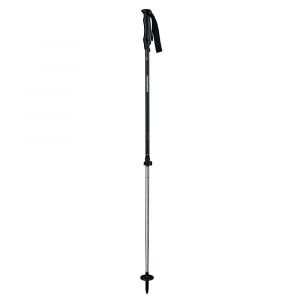 These trekking poles are best used for walking, hiking, and backpacking. 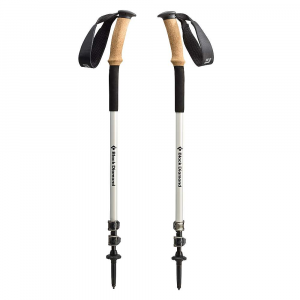 I have taken these trekking poles on a few trips now since receiving them this past October and these poles have stood up to the abuse of the trail from dirt, rocks, and snow. I get the feeling of confidence when I have these in my hands. At no point did I feel that these poles would break or snap. I really like this product and I am quite impressed. Fixed length and non-adjustable, made from an evergreen bamboo called Phyllostachys Purpurata. Based on the testing and use, so far these poles appear to be very well made. In my opinion, the materials that were used for these poles were specifically chosen due to the nature of the durability of this particular bamboo. Aside from the bamboo, careful curing methods were also implemented to further strengthen the integrity of these poles. The natural cork handles or grips used are very comfortable in the hands. Compared to other poles with conventional rubber grips, after walking for a few hours, I typically get this rawness feeling between my thumb and index finger. With the cork handles on these poles, I never had that feeling. Due to this, I don’t think I can see myself from using my older poles. These are simply one of the most comfortable poles I’ve ever used. This is one feature that the Green Hiker does not have. Since it’s a fixed length pole, these obviously do not adjust or collapse. Some may see this as a drawback; however, I don’t see it as much of an issue. I personally actually think it’s more convenient. So far the only challenge is that since these poles lack this feature that it can be challenging to stow them when not in use during a hike. At 14 ounces per pair, these aren't the lightest poles in the market but the comfort you get when using these poles, more than make up for the weight. 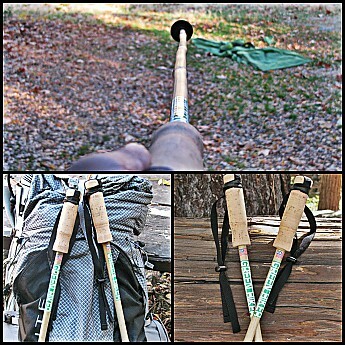 I have used these poles since October of this year. 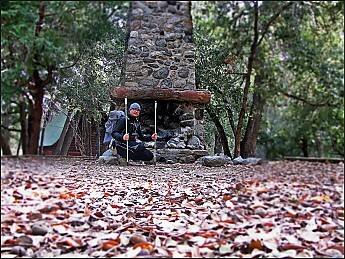 It has been my trekking pole of choice ever since on multiple overnight trips to my local mountains (Angeles National Forest, Cucamonga Wilderness, Verdugo Foothills, and San Gabriel Mountains). One of the key reasons why I wanted to test these poles was to see how well it also performed as tent poles for my Six Moon Designs tent. 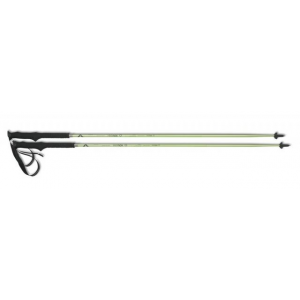 The beauty of American Trekking Poles is that they allow for custom sizing aside from their offerings on standard sizing. When I requested these poles, I asked if they could make the length of the poles to be 45 inches (114.3cm). 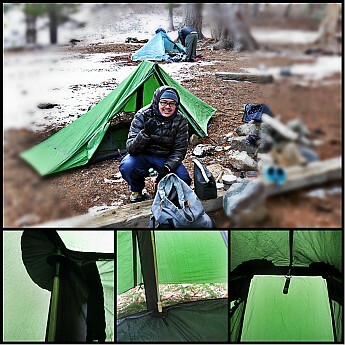 I was excited when I received these poles that I quickly setup my tent in my backyard to ensure that the poles could work. The bamboo poles work really well with my shelter, it gave it the rigidity it needed to withstand winds and whatever weather I may encounter in the woods. I am actually quite happy with these poles and genuinely impressed with its overall construction, feel, and looks. Nice review Angus! I am so curious about bamboo as an alternate building material. Thanks Seth! I am truly impressed with this product and will most likely be my pole of choice moving forward. I like the non-fiddle factor with a fixed pole...really easy to use. 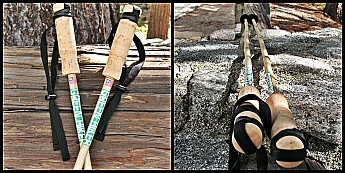 The American Trekking Pole Green Hiker Cork Grip Poles is not available from the stores we monitor.